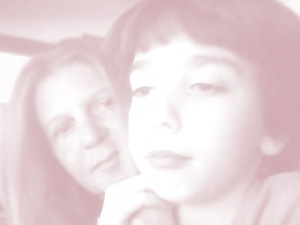 My son Nathaniel was the second confirmed case of Dravet Syndrome in 2006. He is now 9 years old and has been on several anti-epileptic drugs during his short life. He's on 4 now, Depakote, Banzel, Clonazepam, Topamax, rescue Diastat and sleep aide. He averages about 12 to 15 tonic clonic nocturnal seizures per month, which have to be stopped by Diastat. He has tremors, abnormal body movement's, is non-verbal and is not potty trainable due to this medication. Nathaniel has a global delay, physical delay and is on Medicaid. Enough!.. our children are DYING from these medications and lack of seizure control. Nathaniel walks around with an abnormal background and EEG spikes all of the time! I'm in the States, North Carolina and are awaiting our version of the Hemp Oil Bill to unveil our guidelines set up through our HHHS. We are hoping that we can get this dispensed throughout the state, but it's rumoured that this may not happen. GW Pharmaceutical company out of UK already is offering their Epidiolex form of oil. Whilst they most certainly have the right to make their version our kids most definitely deserve our states Bill choice. Which is derived extract with success. I hope ALL Dravet Kids have a choice!.. I can not afford to move unless North Carolina makes me and even then the cannabis oil or CW lists are so long. Does anyone have some advice? Thank You, Pam Atkinson. Voice for my son Nathaniel Atkinson. Submitted 5 September 2014 (by Pam Atkinson).